Are you looking to start a fashion blog and want to succeed in blogging? But don’t know from where to begin? Well, it is easy to start a blog, but the tricky part is to be successful and make a living out of it. In this guide, we’ll share some tips on how to create a fashion blog with zero-coding skill and make a living out of it. Most Effective Ways of Making Money Online. A Glimpse at My Earnings. Buying a Domain Name and Hosting Plan. Selecting WordPress Themes, and Plugins. Setting Up Google Analytics Account. Optimizing Your Blog Post for SEO (Search Engine Optimizations). 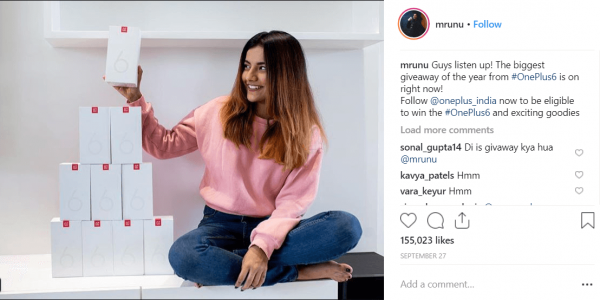 If you’re passionate about fashion blogging and make to succeed in blogging, then you might have checked some of the biggest fashion bloggers and influencers on Instagram. Ever wondered how these fashion bloggers make money online? And how they afford their makeups, clothes, etc.? You know many biggest companies and MNC’s spend millions on their advertisements for brand promotion. They connect with fashion bloggers to sponsor their brand contents, and products (Clothes, Makeup, etc. items) & to promote them through their social media channels. Furthermore, they also pay you for promoting their products. Paid and Sponsor contents are the primary ways to generate income for these fashion bloggers. 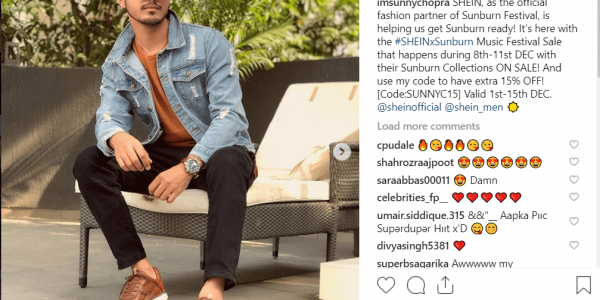 You can also generate revenue by promoting these brands through your Instagram channel and even through your blog post. In today’s generation, there is a huge craze of Musicl.ly (Formerly TikTok) and Instagram. Most of us are using these platforms for our daily entertainment, but we don’t know how to use these technologies to generate some revenue. Some of the biggest musical.ly stars also generate revenue using their Instagram accounts, and we can also make a good income using it. Here I’m showing some musically stars (You already know most of them ????) promoting some sponsored contents. We discuss all these things later, now let’s discuss how much money I earn monthly using my blog. So ever wonder how much money I make using my blog? No…?? Okay, I’m also going to share my earning reports with you guys. ???? But first, let me introduce my blog and about myself. TheGuideX is founded by Sunny Kumar who has been recognized as one of the best emerging bloggers in India. His site has helped many people in learning to blog and making a living out of it. His Facebook group “Blogging for Beginner’s by TheGuideX” has more than 4.7K members and counting. Where people discuss and share their knowledge and experience. TheGuideX is two years old blog, and it has been recognized as one of the most successful blogs in the blogging and digital marketing domain. At TheGuideX.com we cover Blogging, WordPress, SEO, Social Media Marketing, and Affiliate Marketing topics which helps you to generate a passive income every month by just working from your home. Okay, I know you’re waiting for my monthly income report for this blog. And I don’t take any more time to share my blogging revenue with you. ???? Just only with CJ.com (an Affiliate Network), I made around 889.55 dollars and also I earned nearly $300 using the sponsored posts on my website. $889.55 (Affiliate Income) + $300 (Using Sponsor Posts) = $1,189.55 USD (Approx 85 thousand). So last month, total I earned 85 thousand INR. The very first step in creating a blog is choosing a platform for blogging. The platform here refers to the blog software which helps you to create your blog with zero-coding knowledge. You can find various blogging platform for your blog including some free and paid platforms. It can include WordPress.com, Self-Hosted WordPress, BlogSpot, and some other popular CMS. WordPress.com and BlogSpot are free blogging platform where they allow you to blog for free, but they have some limitations. If you seriously aspire to generate some passive income and have a desire to succeed in fashion blogging. Then I won’t recommend using these free platforms. You can read here why I don’t allow you to blog on these free blogging platform. Instead of using these free platforms, I recommend you to use Self-Hosted WordPress.org CMS, Which is also a free but self-hosted platform. 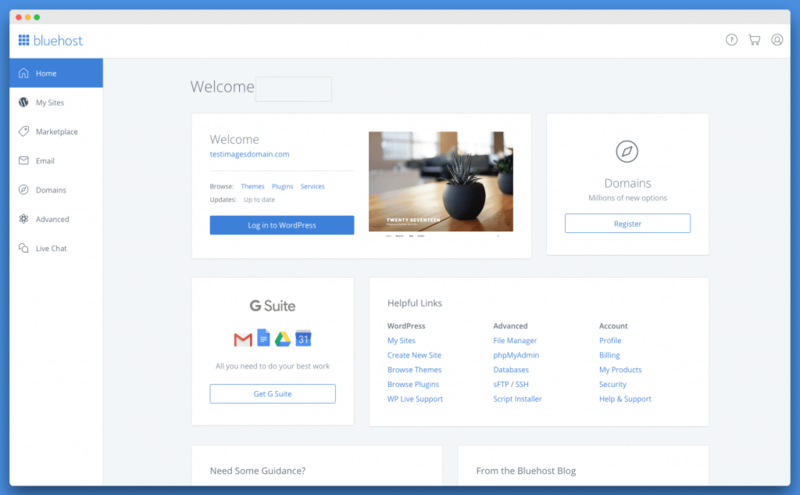 In self-hosted CMS, you can host the blogging software on your very own domain name. Obviously, the second one! Because in the first prospect, you are using a sub-domain (wordpress.com after your blog name), but in the second selection, you’re using your own domain name (In step 2, I’ll share how you can register your domain name and hosting for blogging CMS). Domain name and hosting plans are one of the vital steps in blogging. If you’re launching your fashion blog, then pick a unique and memorable domain name for your blog with a .COM domain extension. For example, I’m using TheGuideX.com domain name for my blog, Here TheGuideX is the unique name of my blog and .COM is domain extension for online identity. You can also choose from various other domain extensions like .COM, .NET, .ORG, .IN and some other TLDs (Top-Level Domain Names). Here I’m sharing a step by step guide on how you can purchase a domain name and hosting plans from a reputed web hosting giant, BlueHost for your fashion blog. A domain name typically costs $14.99/year and a web hosting can cost $7.99/month, That’s a lot for beginners who are just starting. But Thanks to BlueHost, they offer 60% discount on their web hosting plans along with a free domain name for beginners. 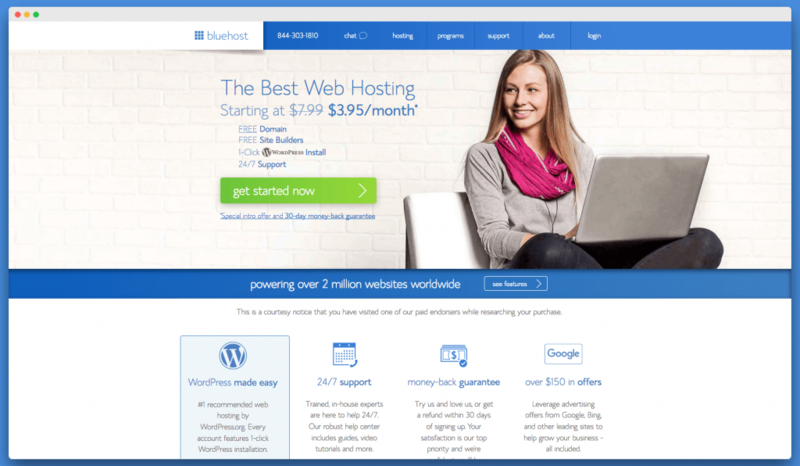 Bluehost is one of the largest web hosting giant in the market. WordPress.org officially recommends Bluehost for their WordPress hosting. They host millions of domain name including some of the mine domains too!. Click on the above link to buy your domain name and hosting plans. After completing your purchase at Bluehost using our above link, Contact us on our email address: [email protected]. We set up your blog for free! Let’s go ahead and purchase your domain name and hosting. First, click on this link to open Bluehost Deal Page (You can get 60% OFF on hosting along with free domain name using this discounted link). Now click on the green “Get Started Now” button to get started. On the next screen, select the hosting plan which is perfect for your fashion blog. As you’re starting your first blog so that you can continue with their “basic” hosting plan and if you want to host more than one website on your hosting, you can also select “plus” hosting plan (Basic, and Plus plans are the most popular plan in Bluehost). After that, it will ask to enter your domain name for your new fashion website. Enter a unique and brandable domain name for your blog to claim free domain name along with your hosting plan. On the next step, you need to add your necessary account information and finalize the package information. We recommend going with the 36-month plan because that’s the best value, and you can save more with 36 Month billing. Bluehost also offers Free SSL certificate (HTTPS Security) with their hosting plan along with free domain name. And in recent Google announcement, they announced that they are giving more priority to blogs which have SSL enabled. 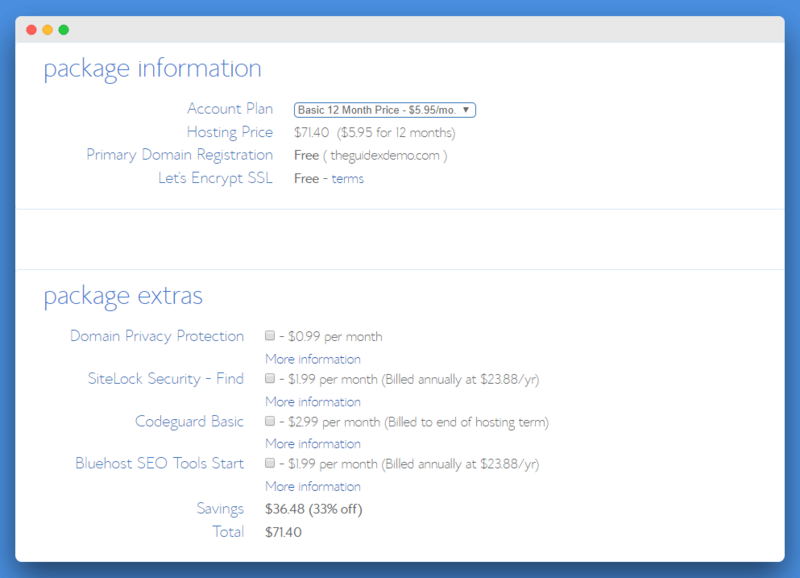 Furthermore, Bluehost also offers various add-ons with their hosting plans including Domain Privacy, SiteLock, CodeGuard, and SEO Tools. 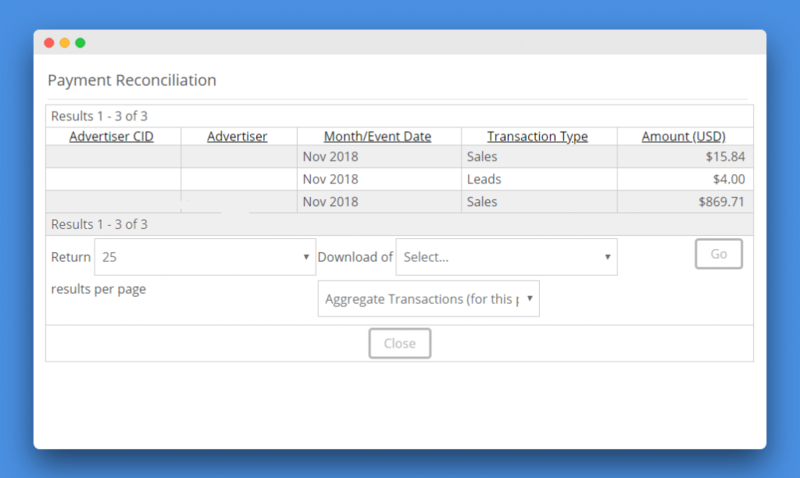 If you want to add any add-ons, click on the add-on to add. Generally, we don’t recommend adding these add-ons because they wouldn’t add any extra value to your blog. Once you review the items, enter your payment details to check out the items in your cart. The checkout process is as simple as you purchase store items from E-Commerce websites. Bingo! You successfully purchased your hosting plan with a free domain name and SSL security for your website. So we had done ordering domain name and hosting account from Bluehost at step #2. Now in this step, we continue setting up the WordPress on our hosting platform. Installing WordPress is quite easy, as you had purchased the hosting plan which offers one-click wordpress integration. 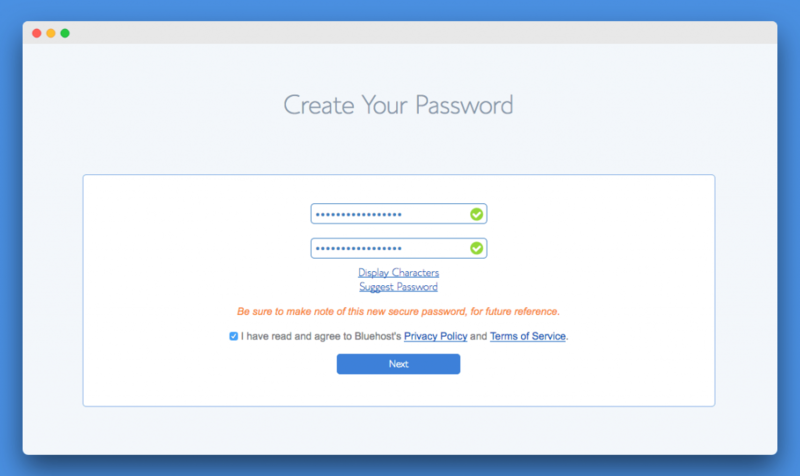 After purchasing a hosting plan, it may ask to choose a password for your hosting account. Setting up a strong password is necessary to secure your website and web hosting from hackers. So pick a strong password for your account. Once you are done setting up a password, it will redirect you to the main dashboard, from where you can install WordPress. On this page, it asks to pick a WordPress theme for your website (Pick any theme, I’ll let you know how to change the theme in the next step). After choosing the WordPress theme, Click on the blue “Start Building” button to start the process of setting up the wordpress. 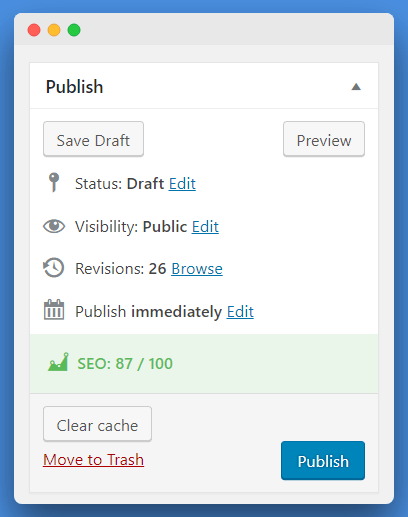 Now it will redirect to WordPress Dashboard. It shows the ‘Welcome to WordPress” page (We’re done setting up the WordPress here). Now click on the blue “Personal” button on the screen (below welcome to wordpress text), You’ll now be redirected to WordPress launch page. (Your website still shows the coming soon page when visited. Click on the launch button to start setting up your blog and make it live. On the next page, enter your site name and tagline to continue setting up your blog. Once you are done setting up the WordPress, you’ll be now redirected to the Bluehost cPanel. Bingo! Now, click on the Login to WordPress to again get logged-in to your website admin dashboard. Go to the Settings menu in your dashboard, add other website details. You can also reach me at [email protected] for further help in setting up your blog for free. Step #4: Setting up WordPress Theme and Plugins. Just like you install the various theme on your smartphone to change the overall look and design of your phone and also install some apps from the Play Store and IOS Marketplace to enhance its features. Similarly, with the theme on your WordPress website you can change the overall visual effect and with plugins, you can improve your site features. Here I’ll show you how you can install themes and plugins on your website. I’ll also list some important themes and plugins which you can use to improve your website overall. In this step, I’ll show you how you can install a WordPress theme on your website. There are thousands of wordpress themes and plugins which are available for free on WordPress. You can also buy premium WordPress theme from ThemeForest, MyThemeShop, StudioPress, Elegant Themes, and also from some other wordpress theme marketplace. If you’re looking for paid themes for your website, I would recommend you to buy your theme from MyThemeShop and StudioPress. As you see, the pre-installed theme isn’t good enough for a fashion blog. So you have to change the overall look of your website. Either you can purchase a WordPress theme from premium theme marketplace which I listed above, or you can continue with any free theme (You’ll find free themes on your website admin dashboard. Login to your admin dashboard by adding /wp-admin after your domain name in the URL bar. For example; example.com/wp-admin and login to your admin account (The WordPress account you created before). After successfully logging to your account, Go to Appearance > Themes. 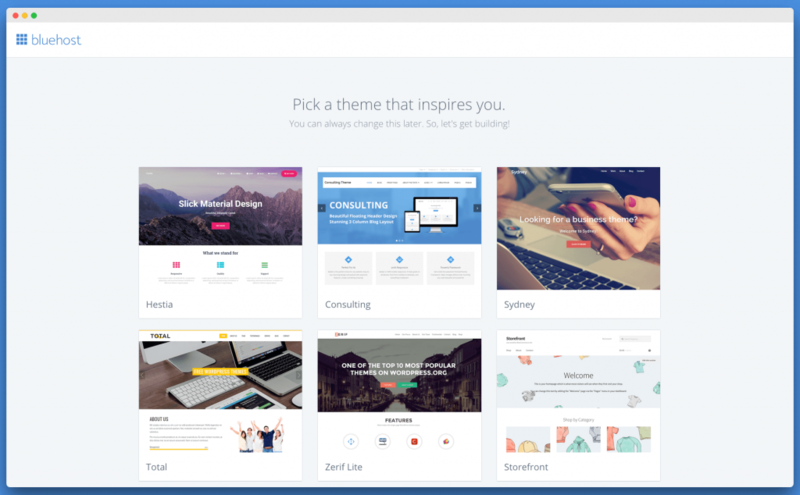 Here you’ll find pre-installed wordpress themes. Click on the “Add New” button on the top left to add a new theme to your blog. After clicking on the Add New button, you’ll be redirected to WordPress Theme Marketplace, from where you can use any free WordPress theme. 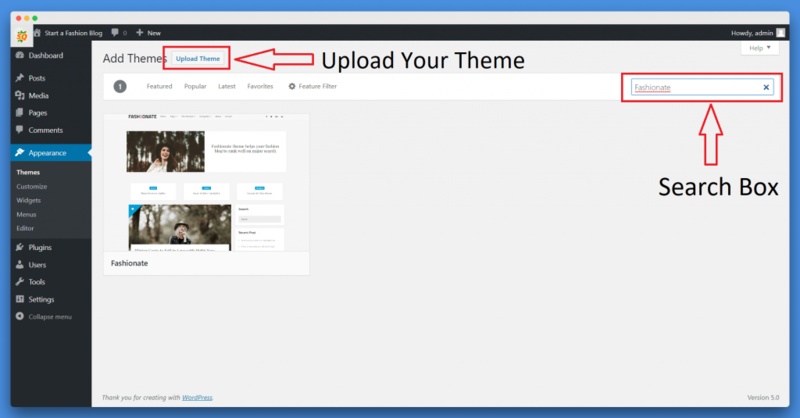 You can also click on the above “Upload Theme” button to upload a Premium WordPress theme you purchased from another marketplace. We continue with the free WordPress theme here, Click on the Search Box and enter any WordPress theme name. In this case, we’re creating a fashion blog, So I search for “Fashionate” WordPress Theme. 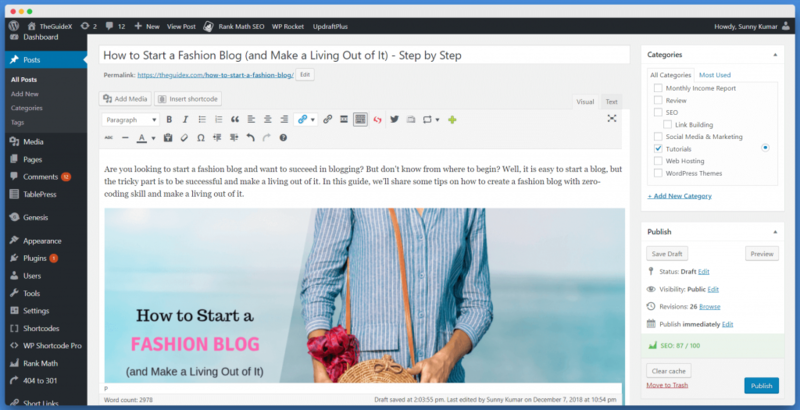 Click on the Fashionate theme and dialogue will open, where it displays the live preview of the wordpress theme, and you also find an option to install it. 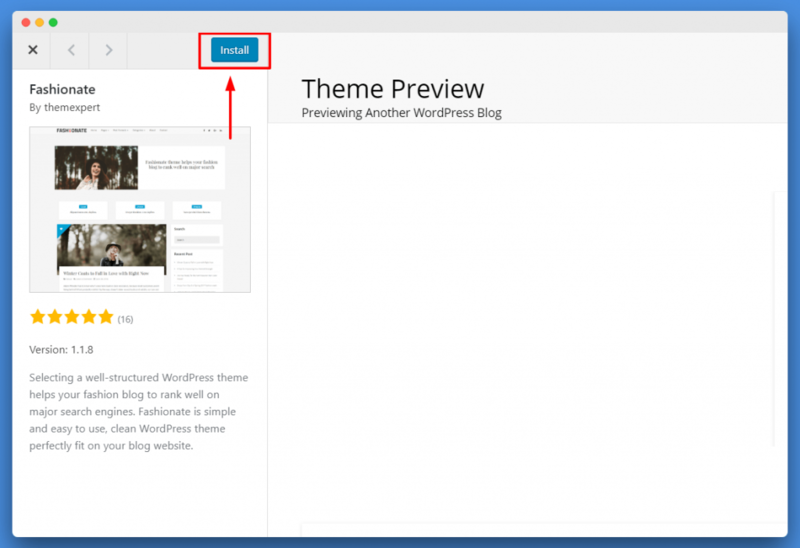 Click on the above left “Install” button to install this wordpress theme. After installing the wordpress theme, you find an option to activate it. Click on the activate button to activate this wordpress theme on your website. Bingo! You successfully installed your WordPress theme. In case you’re getting trouble installing WordPress theme, You can connect with me on Facebook, Instagram and also mail at [email protected]. Step #4.2: Installing a WordPress Plugin. To install a wordpress plugin, the process is as same as installing a theme. Go To Dashboard > Plugins > Add New to install a plugin on your website. You can also browse your installed plugin by going to Plugins > Installed Plugins. Most of the popular and daily used plugins in a wordpress are available for free. Just click on Add New plugin to search for the plugin name and install it on your website. Rank Math – This Plugin Use for SEO. You can follow this guide to install Rank Math SEO Plugin Efficiently. WP Review – For Rich Snippets. (Click here to learn more about rich snippets results). Social Warfare – For Social Sharing of Your Content (Click here to check some alternative social sharing plugins). Updraft WordPress Backup – To Keep Backup of Your WordPress Data. Once you have selected your WordPress theme, you are now ready to create your first blog post, but we first connect Google Analytics with the website to keep track of all the data. To keep a record of all your website data like Real-Time visitors, Traffic Source, Country, etc. ; it is necessary to add google analytics with your website. Google analytics helps you to see live traffic report of visitors on your website. Furthermore, it also shows the country name of the visitor. Additionally, there are a lot of more features you can get with Analytics. First, you need to visit Google Analytics account and login with your Google Mail (Formerly Gmail). Once you logged in, you can now create a free Google Analytics account for your website. Click on Sign Up button to get your tracking ID. Once you click on the Signup, You will be required to provide your information and website URL. After that, you will be given with your Google Analytics tracking code. 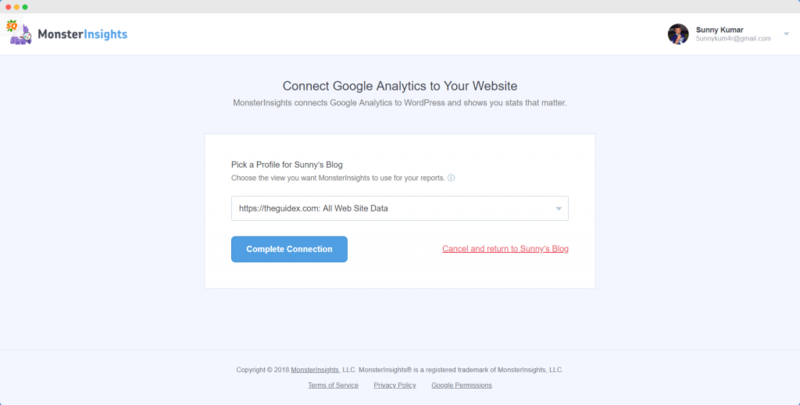 Now on your WordPress dashboard, Install a plugin called MonsterInsights. It is a free plugin which allows you to add your Google Analytics code. Once you install this plugin, visit Insights > Settings Page to configure your MonsterInsights plugin. Click on “Authenticate with your Google account,” it will redirect you to google account page, log in to your google account from which you had created your analytics tracking code. Now, it will request for analytics permission. Click on the “allow” button to grant access to your google analytics account. Once you did, it will further redirect you to choose your analytics tracking account. Select your website from the drop-down menu and click on “Complete Connection” button. 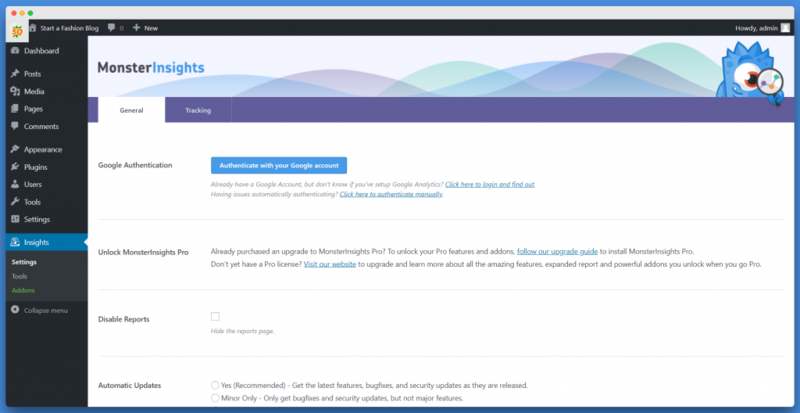 It will now finalize the authentication process and redirect you to the wordpress admin dashboard. Bingo! Now you are done setting up the Google Analytics account with your fashion website. Optimizing your blog post for SEO is one of the essential tasks in blogging. As you’re a novice, we’re not going to use hard words which are generally used in blogging, So in simple language, SEO or Search Engine Optimization is a term which may refer to optimizing your blog and posts for Google and other Search Engine ranking. It helps in improving your website ranking on Search engine. For example, if you search anything on Google, it will show up some results. And you only click on those results which are ranking on the first and second page of Google result only. So in the scenario, if your website is ranking on the fifth page of Google result, then nobody is like to visit the 5th page to click on your website. Thus, we have to optimize our posts to achieve the ranking on the first page of Google. If we succeed in the ranking website to the first page, it gains some organic traffic. And for ranking on Google, we have to apply for some techniques and works on on-page SEO. You can follow this guide on On-Page SEO and OFF-Page SEO from Backlinko and Beginner’s Guide on SEO by MOZ to quickly gain your website ranking. You can also follow my guide on “OFF-Page SEO” to improve your OFF-Page SEO. 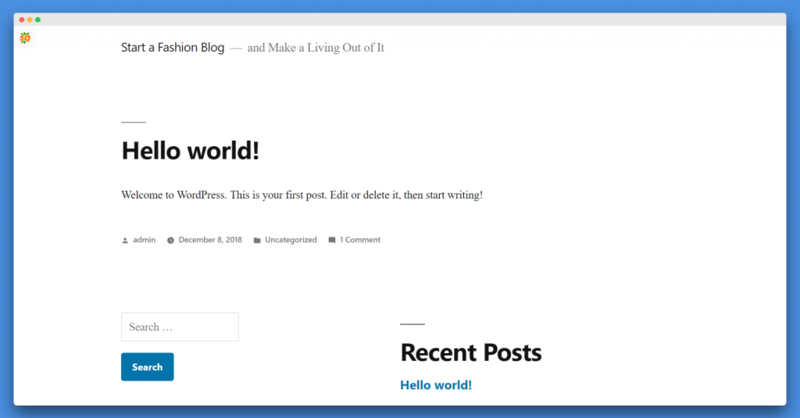 To write a blog post, click on Posts > Add New menu in your WordPress Dashboard. 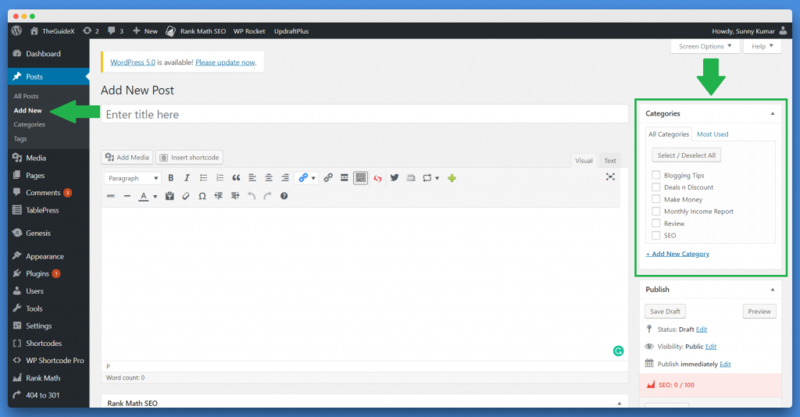 After click on the Add New post option, a WordPress Editor will be opened. Don’t be perplex with the editor dashboard; it is as easy as you work on MS-Word (it is easier then MS-Word ????). On the editor dashboard, you’ll notice the Categories tab. You can use pre-listed tags or create a new category for your blog post. The categories may use to structure the posts in a suitable way. You can use “Add Media” option to add images and videos in your post and on “Enter Post Title” you have to enter the main heading for your blog post. 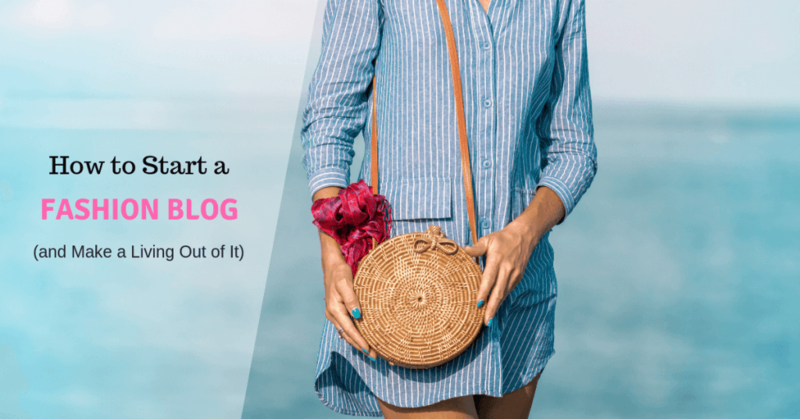 For example, I had selected the title “How to Start a Fashion Blog (and Make a Living Out of It) – Step by Step” for this fashion blog post. Once you are done adding your content, you can instantly publish it or you can even save your post in draft and add more content laters. Once you publish your content and want to make some changes, you can easily apply those changes by going to Posts > All Posts. Here you can choose from various options. You can either publish your article or save to draft even you have an option to preview your article before publishing it. The SEO Score here will appear if you have installed “Rank Math” Plugin on your website. So the main question appears here, how could you earn money from your blog? site succeed in blogging? Making a blog and generating a passive income isn’t a rocket science. Now we live in a generation, where everything is going to be online. Even if we need an answer, we first search online rather than asking it to anyone. So, if you follow the above tutorials on ON-Page and OFF-Page guide in step #6, you are able to rank your website on Google. And if you’re able to rank on Google, it will automatically increase your website traffic through which you can make some passive income. In a simple way, if anyone visits your website, you can earn money through Google Adsense. In a similar way, if you recommend any product to your readers, you’ll earn some commission on its purchase (The same way I generate some commissions if you buy a web hosting plan from Bluehost), this is called Affiliate Marketing. There is a lot more way to generate a passive income through your blog in today. Here we discuss more ways, but first let me remind you again, we are offering free blog setup if you purchase your domain name and hosting from Bluehost (If you purchase using below link and mail us at [email protected]). You can also connect with me on Facebook and Instagram or you can Join our “Blogging for Beginner’s – TheGuideX” group on facebook. This is the easiest way to earn money online. When you visit any website, you had noticed they’re displaying some ads on their website. In the same way, you can also display Ads using Google Adsense. Google Adsense is one of the widely known programs for serving ads on your website. For example; if you’re serving Google Ads through your blog and let’s assume your website have daily traffic of around 10K visitors, With these stats you could make anywhere from $30-80 daily. After publishing around 30 posts on your blog, you can follow these steps to get your Google Adsense account fully-activated. Affiliate marketing is one of the best ways to generate a passive income through your blog. Here at TheGuideX, even I’m doing Affiliate Marketing. In Affiliate Marketing, You get a commission for every sale you make. For example, I’m recommending you BlueHost hosting (Even all other hosting plans), But the main reason we mentioned Bluehost is that they’re best hosting for beginners. 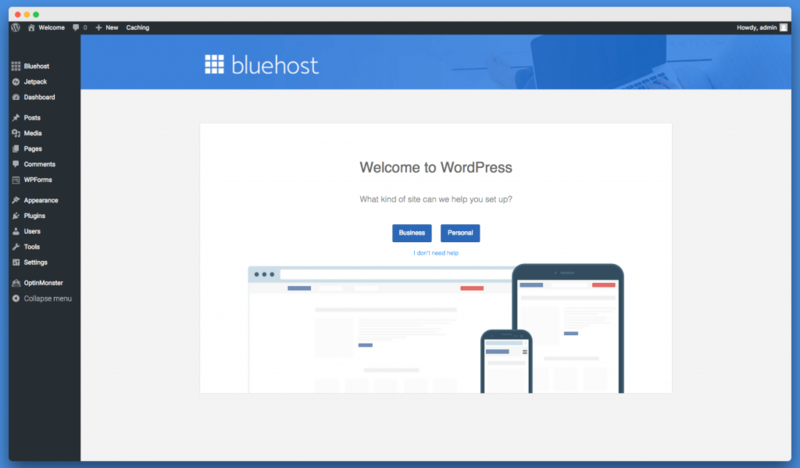 Furthermore, WordPress itself recommend Bluehost, and if you purchase using our link, we get some commission and you can also save flat 60% OFF on your hosting plan with a free domain name. So it is a transparent deal and beneficial for both of us. Similarly, you can write and recommend some products to your readers (If the product is beneficial for them) and generate some passive income. 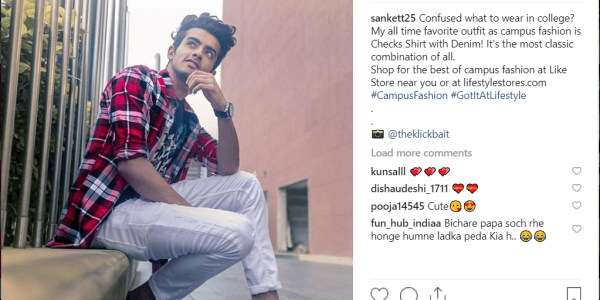 For example, as your blog is on fashion, So you can also write a post on “Top 15 Wears to Style Up in Winter for Men” and recommend the best products for them from Amazon, Myntra and some other stores who have an affiliate program. You can follow this Affiliate Marketing – Step by Step guide from Neil Patel to learn more about Affiliate Marketing. Brand promotion is another best way to making a passive income. Outreach some popular brands and startup for promoting them through your blog. You can also keep an eye on top fashion bloggers on Instagram and their posts to find the companies. You can use various templates from NinjaOutreach for cold emails templates. You can also use this tool to find influencers and big brands. Moreover, if you don’t have a budget for outreaching tools, you can grab email ID of famous brands from their website and outreach manually using your Gmail account. Instagram is one of the biggest social media today. It is also the best network through which you can connect with Top influencers and fashion bloggers. 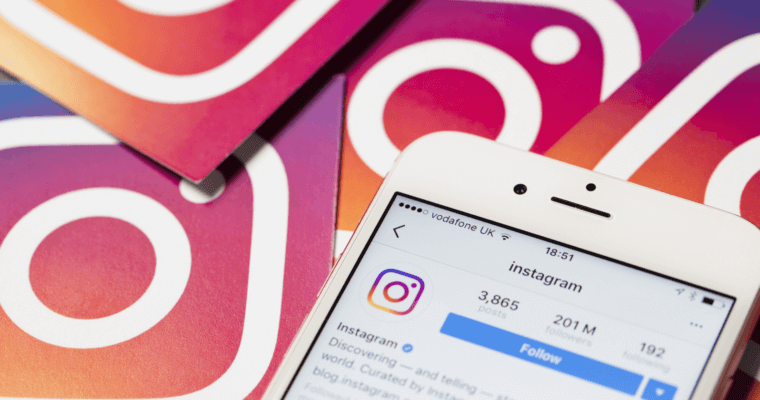 The simple way to grow your business through Instagram is that start following top bloggers on Instagram. Follow and analyze the description, photos, and tags of top bloggers and try to replicate them. Also, use hashtags to reach the right audience on Instagram. 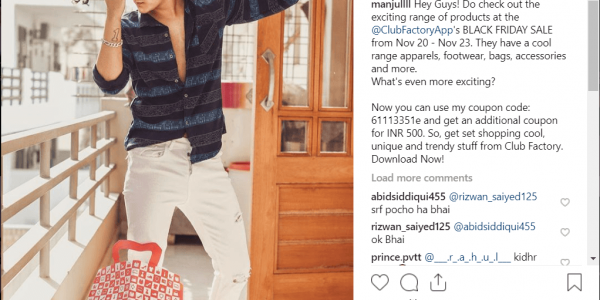 Be active on Instagram and update posts frequently with proper hashtags to influence more audience and increase numbers of followers. I’m doing another tested way to increase more followers on Instagram. I follow lots of people daily and unfollow them after 2-3 days ????. Meanwhile, I gain around 50-100 followers using this trick. You can also use this method to increase your followers count. Many bloggers directly sell products and services (it can include ebooks, physical products, virtual products, music, artworks, etc.) through their blogs and generate some passive income. You can also sell products through your blog. The right way to sell products on your website is through WooCommerce. WooComerce is a WordPress Plugin which helps you to build an E-Commerce website on your website. You can create a store on your blog and sell or resell products. Many bloggers sell sponsored blog posts from their blogs. I also offer sponsor posts on my blog from various brands. It helps brands to reach more specific and targeted audience through my blog and also it helps to increase their visual reach. Last month I made around $300 just from selling sponsor posts from my website. You can also check out my Write for Us and Advertising Opportunity page. Most of the brands and influencers use these page to reach you. Just create these two pages on your website and improve SEO of your blog and start making money through it. ???? Yes, you can create a blog without wordpress. There are many other CMS available in the market. You can also choose Drupal, Ghost CMS and some custom made CMS. The cost totally depends upon the add-ons you select during the checkout page. To create a blog it costs anywhere from $50-100. You can get 60% OFF on Bluehost hosting with the free domain name using our exclusive Bluehost link. No, to create a blog you need a hosting plan. 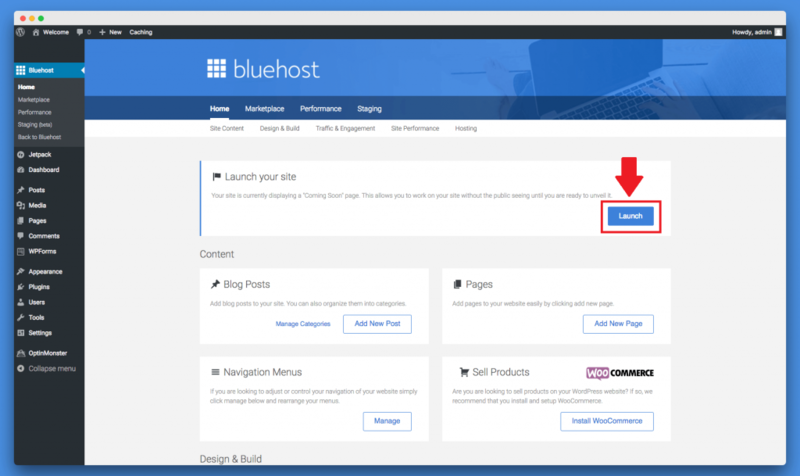 You can host a website on any hosting platform, but I suggest you choose Bluehost as your hosting provider. How Can I Do Blog SEO? Doing SEO of your blog and blog post isn’t a rocket science. You can follow the guide to our On-Page SEO to improve your blog SEO. How Can I Avail TheGuideX Free Website Offer? Anyone can start a fashion blog, but the real success lies in making it profitable. If you work hard and target the right audience, then it is easy for you to earn some passive income. Without targetting the right audience, you cannot make a successful fashion blog. Get a professional domain name, hosting plan and a website design to launch your first WordPress website. As you know the first impression is the last impression, So make your website catchy and use well-formatted content with great design to attract users. Also to get succeed, be active on Instagram and other social media accounts. Making money from your fashion blog isn’t hard if you know the right audience and the right products to target for your readers. Your comment is valuable to us???? Thanks, It is great knowledge for beginner bloggers.Keep sharing . Very good in formation Thanks for sharing . Really helpful artical. Thank you for your valuable comment, Nisha.???? Very informative article, you always do a better. As your all post are amazing. Thanks for your valuable comment, Vina. ???? Very good information Thanks for sharing. Really helpful article. Here are some excellent points for a new blogger to start a fashion category. I am sharing it with my friend as she is wanna start this on this category and also sharing on my social media. Keep sharing awesome tips. Sir Thanks for Blog Post. The Question is how we can collect copyright-free data for our fashion blog. I want to set a fashion blog but have no source to find content for it. If i want to say something then i just want to say your post really awesome.